The ability to pursue the American Dream — experiencing purpose, achieving fulfillment, earning a viable income, providing for one’s family, giving back — begins with a solid education. The commitment and ability to remain in school, however, requires stability, support, and direction. Social skills, acquired through healthy relationships, are also necessary. Many of our residents struggle. Taking a holistic approach, UMCH works to instill those foundational elements and tools. We also instill hope. We help individuals envision the life they can attain through their own accomplishments. In the upcoming edition of Signposts, we celebrate our most recent graduates by sharing some of their stories along with insights from UMCH’s leadership. You’ll read stories like Sidney’s. Sidney admits to being surprised by what he has learned and the man he has become while at UMCH. Despite thinking of himself as an introvert who shied away from people, Sidney has become a natural leader who enjoys public speaking and helping people discover their talents in our Lil’ Jon music recording studio. These lessons in leadership and teaching have led Sidney to the prospect of majoring in Early Childhood Development at Georgia Piedmont, where he is currently enrolled in college. Join us in praying for Sidney’s continued success! We are proud of him. 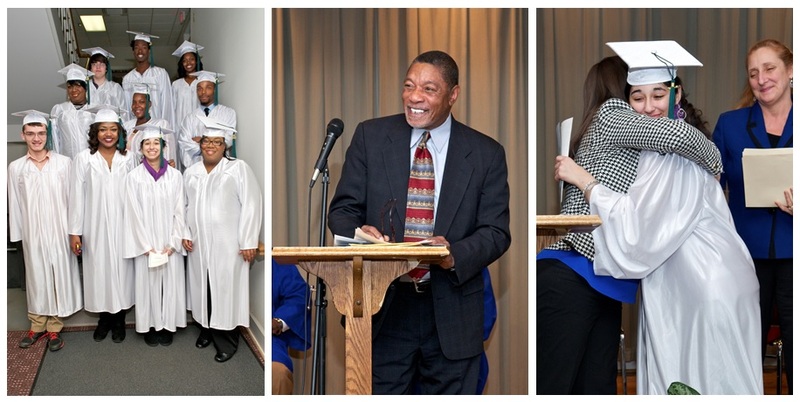 More stories of our ten Winter 2014 graduates and photos of the Graduation Celebration will appear in the next edition of Signposts, which will be in mailboxes in early May.